Like many of you, I subscribe to several industry groups and newsletters in the interest of staying on top of trends, notable wisdom, and topical conversations of interest to my community. So, a question posed to the Linkedin group, Alliance for Nonprofit Management, which revolved around a development director raising his/her own salary, caught my eye. That's because, I've heard this argument before, most notably from a colleague who led a rather large nonprofit association. At the time of his remark, I remember suddenly getting that cold prickly feeling. Around that time, I also heard a statistic that proclaimed the average length of employment for a development director to be 18 months and for an executive director, 36 months. That's never sounded like a positive solution for a sustainable organizational future and it certainly doesn't create a positive environment for a team approach to growing relationships with donors. So, I found the following quote from Compass Point's study: UnderDeveloped: A National Study of Challenges Facing Nonprofit Fundraising more than simply poignant. "For years now, there has been widespread concern in the nonprofit sector about premature turnover of development directors, lengthy vacancies in the role, and the seemingly thin pool of qualified candidates from which organizations can choose. The development director is commonly labeled a “revolving door” position, and “the hardest to fill and retain” by executives, board members, funders, and capacity builders alike." Stop looking at fundraising as a burden. If you are convinced of the importance of your work, that you are performing your best, and if you believe the world is a better place because of your impact, then asking donors to invest in your mission should be the easiest thing in the world. Everyone should want to participate. Resist the urge to hire someone with the goal of placing fundraising soley in their court. Rather, give this person the responsibility of rallying the troops and giving all your stakeholders the opportunity to sing your praises. Your development director is your quarterback, not your running back. Don't hand him/her the ball and hope he/she crosses the goal line. Everyone on the team should be focused upon tearing down the goal posts. Think holistically, understand that your entire organization is a system, with each functional area reliant upon the other. Program drives impact, impact attracts funding, marketing spurs interest. It is circular not linear. By applying a holistic strategy to your organizational development you'll automatically create a team environment where everyone wants to win. We build trust through positive actions and then use marketing channels to promote that trust. The best nonprofits understand effective marketing communications is critical to their success. So why is there so little emphasis on measurement in so many marketing campaigns? I saw this video the other day and it really made me laugh and then it got me to thinking. Communicating exactly what you want your audience to understand is a tough business! How effective are you in your communications? What we have here… is a failure to communicate! How often have you presented a simple message only to encounter an undesired reaction? As nonprofit professionals, we understand the value of effective communications. But, do we really know whether our message rings true and if so, to what extent? How often do you find yourself stating and restating your directives? Are your presentations, or "asks", falling flat? Has attendance at your events become lackluster? Do you find yourself wondering why the phone is not ringing after implementing a great new fundraising appeal? The answer may be found in our innate inability to hear ourselves. It always sounds better in your head! We think our message is clear, but we often fail to adequately express our value in ways in which our audience will connect and understand. Often we use too many, too few, or the wrong words, or we promote our significance in areas where our audience is not listening. If what we are striving for is to get our great mission understood by as many in our target population as possible, it's important to first craft a great message, but then we need to know if it really is a great message. Has it been heard, comprehended, and most importantly did it resonate? Here are five Hip Tips to get your message off and running and then humming along like a well-oiled machine. Understand your target audience. Know what they read, listen to, watch, like, and think. Remember you can have multiple audiences for your message, so make sure your tailor your communications to each group. Test, test, test and then test some more. In every good marketing campaign the message is test marketed and then tested some more during implementation. Set up specific measurement tools, which will allow you to gauge your success. Find out what works and keep doing it until it doesn't. That's how you create and maintain a consistent voice and a develop a real brand. Remember that multiple touch points reinforce the effectiveness of your message. And, don't forget the old sales adage: Tell them what you're gonna' tell them, tell them, and then tell them what you just told them. Employ these Hip Tips in all your communications efforts and your audience's hearing will improve dramatically. If you saw my last post, a humorous look at starting a movement, (if not, check out the 3 minute video under "Leadership & the Courage to Follow", it's worth your time) you may be thinking a bit about your leadership style. Perhaps you're shifting towards a better understanding of what makes followers (the critical sauce for success), well… follow! If so, here is the question that is probably uppermost in your mind: "Is there a formula for how leadership develops a strong following?" Organizations don't have needs… People Have Needs. Remember to embrace your followers and recognize their needs, desires, and participation. Keep this in the back of your mind as you build your programs and campaigns and you'll find your recruitment and retention efforts to be much more productive. There is one leadership fundamental that has inspired organizations for thousands of years and it’s the capacity for all involved to envision a desirable picture of the future. Building Shared Vision, illuminated by Peter Senge in his book "The Fifth Discipline", is a vision that is shared by all stakeholders that creates a rallying point, which fires up the base and gets the sauce to simmering. Shared vision is what we hope to accomplish, it's how we see the world, and it's our raison d'etre. Shaping your vision is critical. In order to become followers, individuals need to relate and understand; often at a primal level and for that you need to carefully build your case. Understand the Need: In order to build an effective case for gathering support, you need to develop a thorough understanding of the problem. This shouldn't be based upon a hunch, or a personal opinion. It takes research into what the community perceives, what already exists in the environment, and an awareness of best practices. Once you have this knowledge under your belt, the next step is to: Develop an Exciting Plan, which serves to fill the need, or which solves, or alleviates the problem. But listen closely, because here is a CRITICAL COMPONENT… Your plan needs to be both easy to understand and exciting, so as to build enthusiasm and to acquire and retain interest. Share Your Victories: Your constituents need to know, but always keep in mind that different audiences will respond to different messages and they respond best when they are moved by powerful stories of how your work affects the lives of those you serve. Remember that a brand is what people think when they hear your name. Message consistency across many touch points and lots of it are the keys to building an effective, accurate brand. A brand that lives on in the mind of donors and constituents must be developed through years of message layering. Creating campaigns designed to inform, motivate, and educate through many touch points, from web, to collateral, to white papers, which build relationships, is essential to success. Finally, my father often used to say: "You never know unless you ask." I never connected the dots until it was brought into focus just yesterday, while listening to an interview with former President, Bill Clinton. Essentially, he said: "People are dying to help; they just need to be asked." Click! The key is to ask in a way that presents the community need, your vision, and your exciting plan in a way that allows each individual to see themselves as part of the solution. That means providing a rallying point, which includes a compelling and detailed rationale for how they can participate. You can't simply just talk about generalities. While a vision: "World peace", or "ending homelessness" is a fundamental goal post, simply talking about your vision without a road map, will not create excitement, or commitment. Nurture your community with personal details that help them understand and engage and you will see your followers multiply. Build Your Brand Through Actions! As a career-long marketing professional, I believe in truth in advertising. That is not to say you can't spin or slant your argument to present a fresh alternative, or provide a different perspective, but you need to back up your claims! This brings me to the state of customer service, about which I often find myself wondering aloud. Haven't we all found ourselves arguing with many of our service providers? It seems like the only way to get anywhere is by kicking and screaming and threatening to quit. Yet, they all claim to have customer service as their number one priority. We have also of late been inundated with political advertisements; with each candidate pointing out the others flaws, rather than presenting the case of why we should vote for them over their opponent. In some incidences, they have been downright dishonest, presenting not just half-truths, but what I would characterize as outright lies. These are not ways to build your ideal brand! We have all been told that actions speak louder than words, but how often do we market ourselves by words alone? That's why I promote a holistic approach to your nonprofit marketing activities. Marketing that takes a holistic approach to promoting your organization is developed by thinking about your organization as a whole, which includes its place in the broader community and society, in the lives of its consumers, and its niche among other service providers. 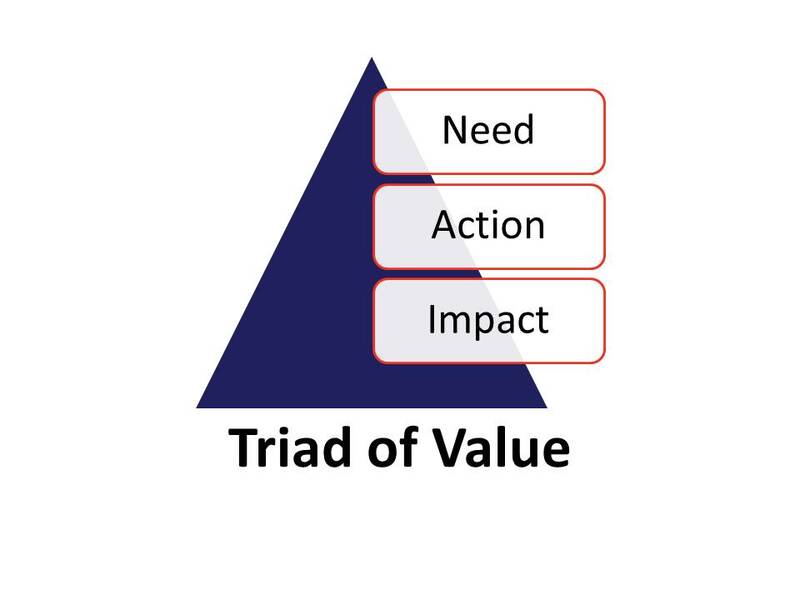 All your activities should be viewed through the prism of your stakeholders: constituents, consumers, donors, employees, volunteers, and the community at large. Holistic nonprofit marketing takes an active and prominent place at the decision-making table. It plays an active role in programming; examining and influencing outcomes measurement and community impact, aligning your programs and activities to coincide with your values and your vision. Marketing tactics then glean success from program and work to effectively communicate your accomplishments. Most importantly, promoting your brand starts from within, so it lives throughout your organization. Top-down commitment and involvement of each person in the organization is fundamental to success. Your brand should become a shared vision. It needs to live in the hearts and minds of every stakeholder in the organization; it must be embraced and promoted from inside out. Plant these seeds, nurture them, and watch as your vision becomes reality, and your funding and sustainability grow. Remember, there’s no substitute for simply being remarkable. Work towards excellence in all things you do. Aspire for greatness and your vision, the brand you imagine will come with ease. To these, I'd add one more question: Why do you do this? It's not always clear why your work is important. "The Need" should be carefully explained, so as to provide a frame of reference to your work and illuminate the uninitiated to the plight of your constituency and the significance of your mission. Miss this point and you won't grow your audience, or win donors. DEMONSTRATE consumer impact through outcomes measurement. While this seems brilliant in its simplicity, you would be surprised by how many organizations that miss these important points. Over the years, I've talked with many program officers who often shake their heads in bewilderment with regard to requests that simply don't add up. Often it's because they miss these basic elements of building an effective argument for funding. You need to explain why your programs are important and sing praise to your efficiency and to your success. This means when possible, to provide numbers that enhance your success stories and that provide relevance to your work. One last thing, don't forget to extend this messaging to all your collateral materials in order to expand your audience to new individuals. To ensure your future growth, you need to reach out to a greater and greater audience, you never know when you will encounter a donor sympathetic to your cause. But, only if they understand and connect emotionally!